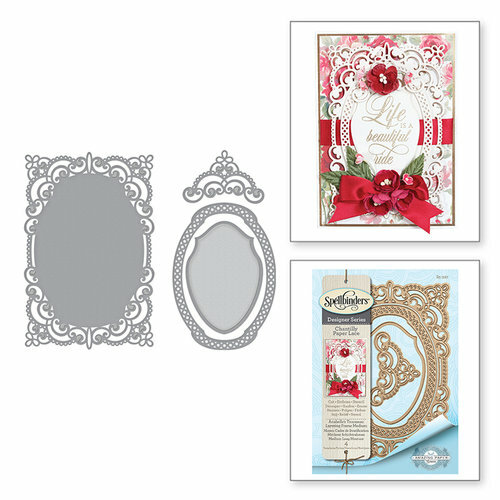 Add some amazing dimension to your next card creation with the Annabelle's Trousseau Layering Frame Medium Shapeabilities Die Set. 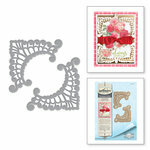 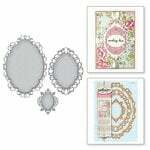 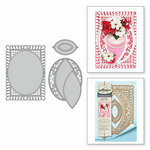 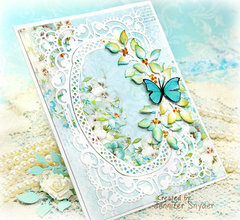 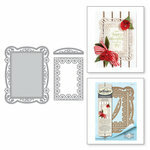 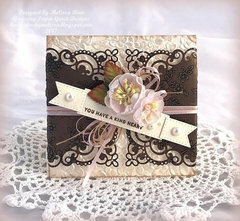 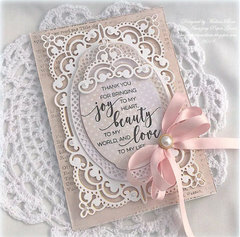 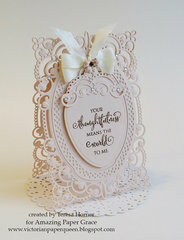 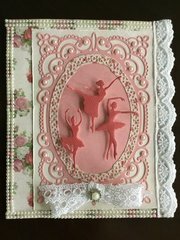 This set is part of the Chantilly Paper Lace Collection by Becca Feeken for Spellbinders. 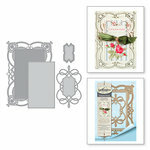 Included in the package are 4 thin metal dies that range in size from 2.6" x 1.7" to 4.1" x 6.2". 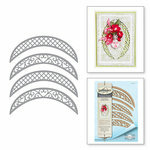 The dies are compatible with most die cutting machines, sold separately and will cut, deboss, emboss and stencil with a single etched die template.